Berry season is finally here! Raspberries make such a sweet and flavorful water – you are going to love experimenting with them. 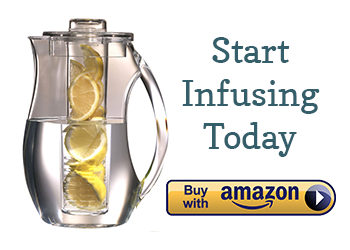 Not only is this infused water delicious, but the water becomes slightly pink, which makes it an ideal drink to impress friends and guests with. 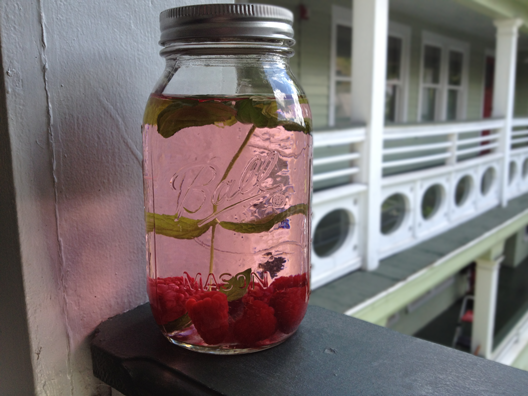 Recipe for a 32 oz Ball jar: 1-2 stems of mint, leaves attached, + 5-7 fresh raspberries. Chill in the refrigerator for 4 hours or overnight. Keeping the leaves attached prevents the mint from getting in your mouth if you choose to drink this water without straining it. For more raspberry flavor, muddle the raspberries and strain before serving. Delicious!